Why is the Future Permaculture? Climate change: Is it a storm in a tea cup or is it abrupt runaway? The New Zealand flatworm (Arthurdendyus triangulatus) was first noted in the western parts of Scotland in the early 1960s. 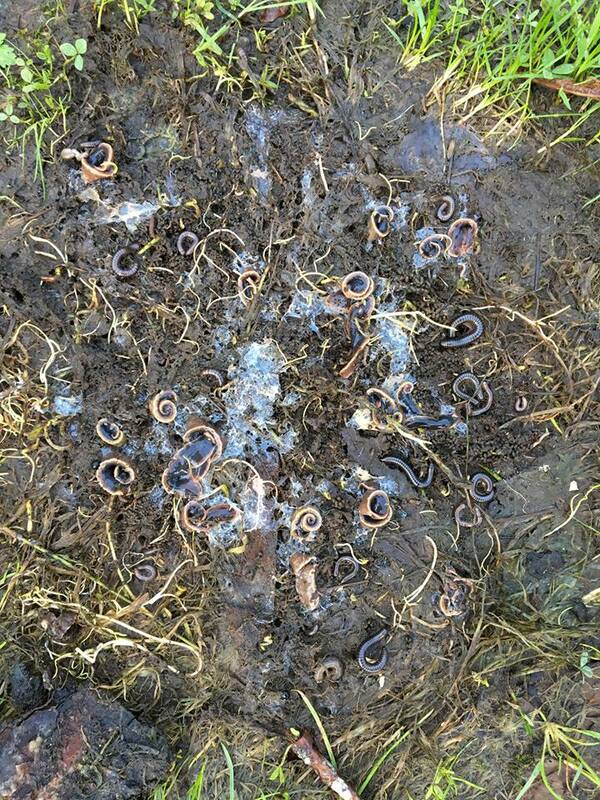 Flatworms have now been identified throughout Scotland. In its native New Zealand, the flatworm is found in shady, wooded areas and only on the cooler South Island. Flatworms were probably introduced into the UK in the soil in pot plants sent or brought from New Zealand. The flatworm has taken hold in a lot of gardens and garden centres without people realising it. After they have decimated the earthworms and therefore their food source, flatworms shrink to a tiny size and lay dormant, so eventually people might notice that they don’t have a lot of earthworms, but don’t know why. When resting, flatworms will be coiled and covered in mucus. They are very distinctive and look nothing like earthworms. The upper surface is dark, purplish brown with a narrow, pale buff edge. The underside is also pale buff. They are pointed at both ends, and ribbon-flat. A mature flatworm at rest is about 1cm wide and 6cm long. When extended, it can be up to 30cm long, and proportionally narrower. Flatworm ‘eggs’ or capsules are shiny black, just under 1cm long, and like a misshapen blackcurrant. They contain as few as two, or as many as eleven young worms. The worms seem to be simple ancient life forms that have survived for tens of thousands of years in a little pocket on a small island. They have no internal organs: digestion is done outside the body and interned by osmosis through the skin. Several other species of flatworm have been found in the UK since the introduction of A. triangulata. They are the same shape as the common form, but come in different colours, the orangey-red Australian Flatworm (Australoplana sanguinea var alba) which is common in England, or the creamy white Edinburgh Flatworm (Arthurdendyus albidus) only known from Edinburgh. WARNING: Some people find flatworm mucus irritant, so wear gloves if handling them. Adult flatworms produce egg capsules in summer. A capsule can be between 4-11mm long and 3-8mm wide, and resemble a blackcurrant. Juvenile flatworms emerge after about a month and are creamy white/pink in colour. Flatworms seem to eat earthworms exclusively. There is no evidence that they will eat any other soil-dwelling creatures, even when the earthworm population has been reduced to below detectable levels. There is no apparent preference for one particular worm species. Flatworms are most active near the soil surface, so deeper burrowing earthworms are more likely to survive despite the presence of flatworms. When an earthworm is located, the flatworm covers it with digestive juices. This dissolves the earthworm, which is then sucked up by the predator. Estimates suggest that flatworms will consume one or two earthworms per week. When its food supply has been virtually exhausted, a flatworm will shrink and wait until there are sufficient earthworms for feeding to restart. This waiting time can be as long as 12-24 months. It is not yet clear whether flatworms will move long distances to alternative feeding sites. There is none! Once it is in your garden, it is there to stay. Seeds, cuttings and clean bare-rooted plants are safe. Soil and manure needs to be inspected really carefully. Best NOT to buy plants in soil from nurseries and do NOT accept soil in any shape from well-meaning friends. One egg the size of a black current is enough to infect your garden. The best way to get new plants in your garden is to import them with seed or cuttings. Or at least bare rooted. That also helps prevent importing other pests and diseases. This is becoming more and more important. An infected garden is bad, but not the end of the world. It is possible to live with the flatworm and help the earth worm population recover by continuously capturing the flatworms and setting up an earthworm farm on stilts. Flatworms like to rest underneath plastic bags that keep the soil moist. Best way to kill them is to use a jam jar with salt to contain and kill them. Ground beetles seem to attack smaller worms. Providing a safe habitat for those beetles help a little. (see Dealing with Slugs in a Permaculture Garden) Mulching and adding lots of organic matter to your garden is something you do in a permaculture garden anyway, but it helps to keep the soil healthy with less earthworms doing the digging for you. Several natural enemies are known from New Zealand. However, little is known about their biology and they are unlikely to be specific to the one species of flatworm. As a result, it could be difficult to find good biological control agents that attack only the target flatworms. There is some anecdotal reports from people that the earth worms and flatworms eventually coexist in some sort of balance. Immersing them in warm water (+34°C) for ten minutes might kill the worms, but not the eggs. Immersing the soil of plants in water for 24 hours will bring the mature worms to the surface, but again, not the eggs. Plants from nurseries are safe. What happened to research into biological control? Hadn’t a parasitic midge from Tasmania been identified as a possibility? I have a very high frog population, my flatworms seem to have gone, earthworms back in force, any info on whether frogs will eat them? Regards frogs, yes I spoke to a person who says he actually saw a frog eat a big flat worm- and why not, they do eat slugs.So keep the frog population strong. And just like grey squirrel is an invasive pest, there is now evidence to show where there are Pine Martens the greys disappear and the reds make a come back. Just found some in my new garden. Will be interested in any developments on control. Frogs sound good! Hi Paul, it seems that the possibility of introducing new pests has been abandoned as a bad idea as we do not know the effects those predators will have on other wild life. The cane toad in Australia is a classic example. Eileen, I have not found any information on this. I have heard about ground beetles, not about frogs. and big happy earthworms. All I did was go out every night with a flashlight to collect them. 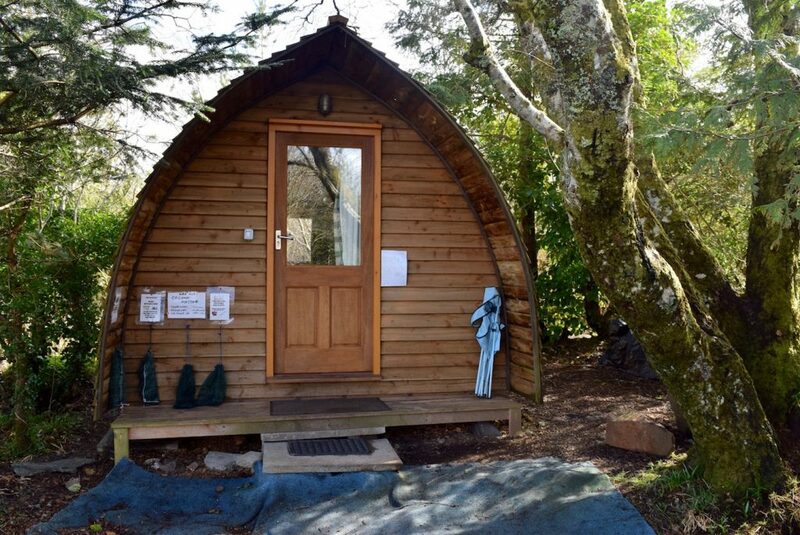 At one stage was getting 60 a night.That was 2013, so do not give up hope. I have noticed that their population goes down in warm summers such as in 2014 and also they seem to leave compost bins and manure areas which have got hot which enables earthworms to recover numbers. That makes sense as their distribution seems to indicate a dislike of warmer climates. Some literature I’ve read does say they will follow the big deep burrowing worms down into their burrows and devour them though I don’t know that from personal experience. I have noticed chickens eat them enthusiastically as well but suppose they would need to be nocturnal (like kiwis) to be very effective. Looking at the distribution around Forres it seems that unless assisted by humans moving soil and plants they can take a long time to get across roads and my garden is still free though 200 yards away they have been rampant for sveral years now though I read they can be moved around on cat fur and even boots. I do wish that people would take the problem more seriously as flatworms seem to have lots of friends exchanging potted plants and soil with little regard for the consequances. Apologies for posting on an old thread but this mild winter has resulted in a huge explosion of Australian flatworms here. I’ve studied them for 15 yrs including running a project and local survey when I was at horticulture college but I have never seen anything like we’ve got this year. For the last few nights, every path and the bottom of every wall in our garden has scores of them. They’re evident on the roads around our house in evening and early morning and they do travel at quite a pace relative to their size. Over the years I’ve tried and monitored numerous controls – hens (ours preferred to eat the earthworms), frogs and newts (loads of them in ours and neighbouring gardens, no noticeable difference), hedgehogs (thriving population here, they don’t touch flatworms), trapping and ‘squishing’ (works as long as you don’t want any other sort of life and don’t mind getting obsessed), beetles (I have seen ground beetle larvae eating them but we’d need thousands of beetles to be an effective control). Birds don’t take them. The best control is the one I can’t influence – weather! Cold winters and the odd hot summer have decimated numbers of live flatworms but as the article says, the eggs are tough, really tough and almost impossible to spot. We’re on a very light sandy soil which also means they can ‘burrow’ – I’ve found live flatworms 30cm below the surface so presumably the eggs will be down there too. When I did my study I realised the effect of the predator/prey cycle and the capacity of flatworms to shrink, retreat and wait for earthworm numbers to recover. 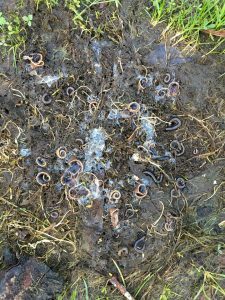 Last year I noted more earthworms than we’d had for a few years so this mild, wet winter coupled with a food glut has resulted in a flatworm population explosion. Some years we don’t see an earthworm at all but we still garden, we’ve had to go back to digging to get organic matter into our light, hungry soil but we still grow and get good crops. Jill, thanks for this posting – really interesting. I, also have noticed a huge increase over the past 2 months on one of my allotments – up to 500. I would be interested in any information you have to share as I am keen to have a better knowledge of them. thanks for info. i am horrified to have them here and am keen to fight back. Hi, I am in Lancashire and spotted the Australian version in my garden at the back end of last year. I found three or four and dealt with them after I saw them devouring an earthworm – not a pretty sight. However, earlier this month when constructing some compost bins, I noticed an awful lot more residing under the flags on which the compost bins will be. It would appear that we have been well and truly infected. This new site is quite a distance from the original sighting. It is interesting because we have recently had the garden re-designed to cater for my disabled wife and allow her access all round the garden. This meant quite a bit of topsoil and a huge number of plants coming in and this may well have been the cause. The real question is what can be done, if anything, or do we just let them get on with things and hope the earthworm population can survive the onslaught? Is the effort of a nightly patrol really going to make much difference? I will certainly be going out on the odd occasion to see if I can spot any but every night may be a little much:-) I didn’t realise, till I read these posts, that they came out to play at night! So can anyone tell me how to improve my soil. It’s getting flooded as there is no aeration by the earthworms. I started a compost, but now realise the worms are not going to help make it good. I wonder if lime has any effect on these beasts? Has anyone tried putting lime on the soil. Or Jeyes Fluid, doesn’t that sterilise soil? I’ve heard that salt can kill them, but too much of that could harm the soil I would have thought. I’ve only just moved to this new garden and I want to make a cottage garden. I’m feeling a bit defeated now. Seems hedgehogs like them too as i found one under a compost bag whilst looking for food for a wee hedgehog that was wandering about in daytime.There was no hesitation gobbled it straight down.It would however explain why i couldn’t find any earthworms in the compost heap.